If you’ve ever tried to make homemade cauliflower pizza crust, you know it’s not easy. 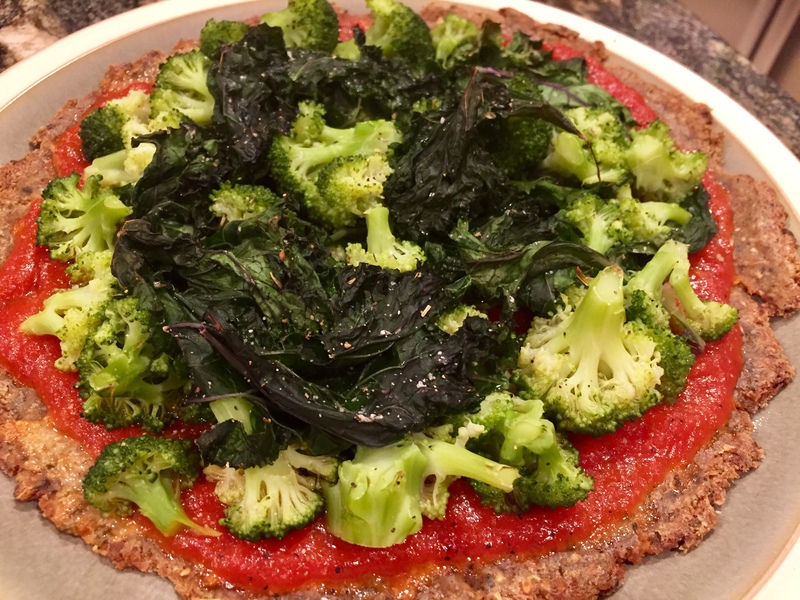 In my search for a quick, nutritious and tasty pizza crust, I discovered Cauli’flour Foods, and was excited to see they offered a vegan crust. It took me less than 24 hours to enjoy my first veggie-based pizza and can’t wait to whip up my next one. 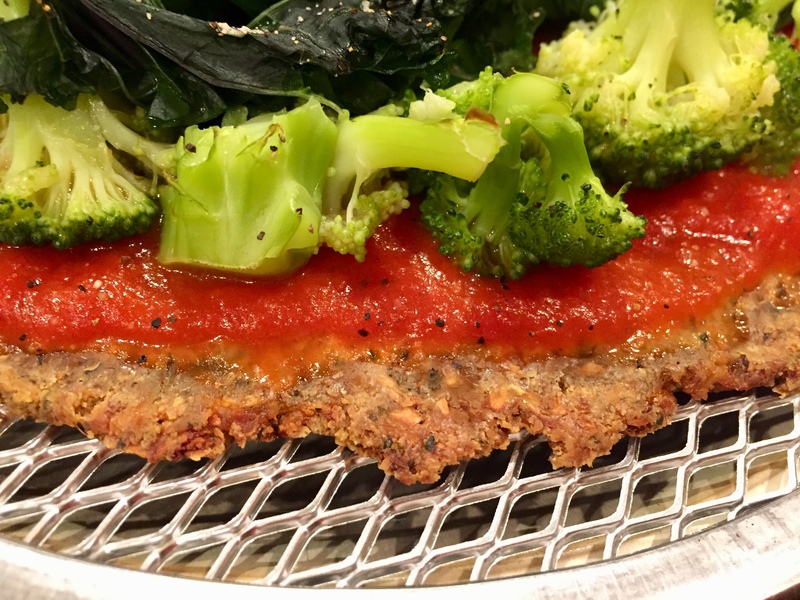 A pre-made, gluten-free and vegan pizza crust has been on my radar for a long time. There are several brands out there that offer such crusts, Schar and Smart Flour Food are two of the most well-known. Unfortunately, I don’t find either that great. Schar’s is primarily rice-based, lacks in protein, contains “dextrose” and may contain soy (which I can’t have). Smart Flour Food’s is better- it’s made with ancient grains like teff and sorghum; however, since it’s grain-based it only has a few grams of protein per crust and it has several other added sugars and starches. So, enter my excitement at finding Cali’flour Foods plant-based pizza crust. 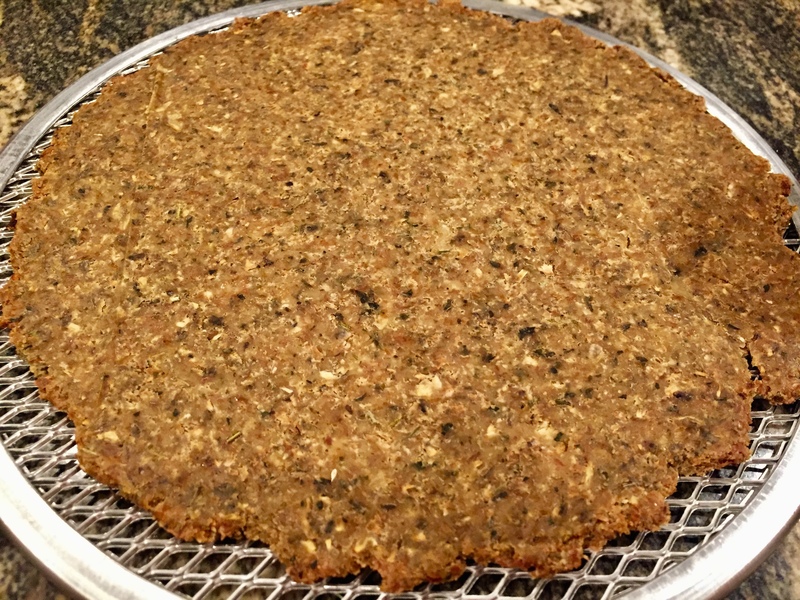 The frozen crusts are made of almost the same ingredients I used in my homemade cauliflower crust: fresh cauliflower, almond flour, flax meal, olive oil, tapioca starch, garlic powder, dried basil, Himalayan pink salt, and nutritional yeast. Taking advantage of a holiday promotion, I ordered the starter pack that comes with three boxes of two crusts along with a pan to bake them in. Like most good gluten-free products, Cali’Flour’s crusts are pretty expensive at almost $80 for their 12-crust value pack. I knew they were going to have to be really good for me to consider ordering again. As luck would have it, my first attempt at making a pizza turned out well, despite the vague directions on the box. The box gives a wide range of baking times for the crusts, which you bake first alone (anywhere from 5 to 20 minutes) and then with toppings (for 5 to 10 minutes.) I baked the crust alone for 10 minutes until the edges starters to turn brown and crispy. I then added my sauce and precooked vegetables and baked for another 10 minutes. I think that was the right amount of cooking time. The flavor was nice… just what you’d expect. You could taste the garlic, basil and nutritional yeast without it overpowering the sauce and toppings. It also gave the feeling of a “real” pizza crust. The only thing I will do differently in the future is to sprinkle salt on the crust. Since it is so expensive, it may be more of a luxury meal. But I will definitely order it again. If you know any other gluten-free and vegan pizza crusts, please let me know in the comments.